Cranberry products – either as juice (sweetened, unsweetened, or blended with other fruit juices) or capsules – are considered by many to be an effective home remedy for UTIs. While cranberries are a well-known and accessible treatment, the evidence for their efficacy is not very strong. Why, then, are they such a popular treatment? It could be due simply to the placebo effect, an amazing phenomenon in which our expectations help shape our experiences. It could be that symptoms often clear up on their own, but we attribute our improvement to whatever remedies we happened to be trying at the time. It could be that drinking extra fluids (e.g., cranberry juice) helps flush the bacteria from our bodies as we urinate more. Or, it’s possible that cranberries do help clear up UTIs, but we just don’t have solid evidence yet. Many cranberry proponents say that the berries work by acidifying the urine, thereby creating an inhospitable environment for uropathogenic bacteria – but scientists now know this is not the case. In actuality, urine acidity is no different between people who consume cranberries and those who don’t. If cranberries are effective, what might their mechanism of action be? A clue might reside in the structure of the pathogenic bacteria themselves. 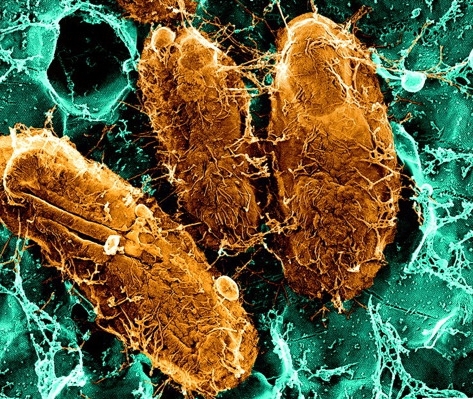 Uropathogenic Escherichia coli have small, hairlike appendages called pili (similar to flagella) that the organisms can use to grab onto the cells lining the urinary tract. Additionally, chemicals in the bacteria’s pili are able to elicit a response from the host cell, causing it to “tether” the bacteria to its surface, further entrenching this entanglement. In response to these bacteria, the body may kill its own infected cells, causing them to fall away, which exposes the cells that normally reside beneath the surface. This will induce the inflammatory response that is responsible for UTIs’ unpleasant symptoms. It is also possible, especially in the case of recurring or persistent UTIs, that the bacteria are able to hide inside host cells to evade immune response. There is a growing body of evidence that the fructose and proanthocyanidins contained in cranberries inhibit particular types of bacteria’s ability to adhere to the cells lining the urinary tract. Laboratory experiments on human-tissue cultures have shown that drinking cranberry juice cocktail can result in urine that can prevent the adherence of uropathogenic E. coli to host cells. It is possible that cranberry juice alters the shape of the pili, rendering them incapable of adhering to – and infecting – host cells. Interestingly, these results were obtained with cranberry cocktail, which runs counter to the prevailing idea that only 100 percent cranberry juice is effective against UTIs. With all this in mind, it would seem that cranberry juice should work as a treatment for your next raging UTI. Many investigators have sought evidence for this hypothesis, but so far the results of their studies have been underwhelming. An excellent source for information is the Cochrane Collaboration, which provides robust analyses of clinical trials to assess the evidence for or against treatments. Reviewers track down all published reports for treatments and, taking into account the relative quality of the studies they are assessing, synthesize the results to determine what the preponderance of the evidence suggests. According to their reviewers, however, the current evidence does not support the idea that cranberry juice is an effective treatment for UTIs. Although many researchers have published studies investigating cranberries’ efficacy in treating UTIs, they were not high quality enough to qualify for inclusion in the Cochrane reviews. A good-quality study needs to be randomized, double-blinded, and placebo-controlled, and thus far, no published studies meet these criteria. This does not necessarily mean that cranberries aren’t effective treatments for UTIs – it means that so far there is no compelling evidence they are. There might be some evidence in cranberries’ favor when it comes to their potential to prevent recurrent UTIs, rather than treat existing UTIs. 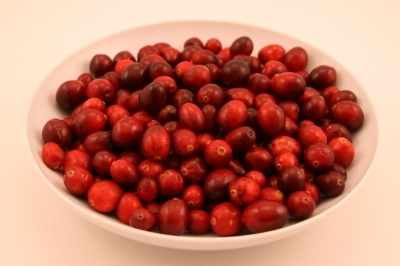 Reviewers for the Cochrane Collaboration found some evidence that cranberries can help prevent infections in women with recurrent UTIs. A meta-analysis of the available randomized clinical trials found that subjects who took cranberry products for 12 months had fewer UTIs than those who did not. However, there is still no adequate evidence that it is helpful for people who do not experience recurrent UTIs, nor is there good information about which method of administration (juice or capsules) is best or what the optimum dosage might be. The evidence also suggests that in people with neuropathic bladders, cranberry products are not helpful in preventing UTIs. In January, however, the Journal of Infectious Diseases published the most high-quality study so far of cranberries’ efficacy in preventing UTIs – and the results continue to disappoint those who are rooting for the humble cranberry. This study enrolled subjects with acute UTIs and tested whether or not a cranberry juice cocktail (sweetened with Splenda) prevented a recurrence of the infection. While 20 percent of subjects taking cranberry juice experienced recurrent UTIs during the follow-up period, only 14 percent of the subjects taking the placebo juice had recurrent UTIs – a difference that was not statistically significant. This indicates that cranberry juice was no better than the placebo – but it also raises the possibility that an unknown agent, present in both the cranberry juice and the placebo juice, might be effective in preventing UTIs. High-quality studies are necessary to debunk or confirm the idea that cranberry products are effective cures or prevention for urinary tract infections. And, if the evidence ends up supporting their efficacy, researchers must determine what cranberry products are best – capsules, sweetened juice, or unsweetened juice – and what dosages are most effective. There is currently at least one clinical trial underway that aims to determine the correct dosage for the preventive use of cranberry products, but this is an area of research that demands more attention. This entry was posted in Sexual Health and tagged antibiotic, antibiotic resistance, antibiotics, bacteria, Cochrane Collaboration, cranberries, cranberry, cranberry capsules, cranberry juice, E. coli, Escherichia coli, fimbriae, folk remedies, folk remedy, home remedies, home remedy, immune response, immune system, inflammation, pili, pilus, placebo, placebo effect, randomized clinical trial, rUTIs, UPEC, urinary tract infection, urinary tract infections, urine, uropathogenic E. coli, UTI, UTIs. Bookmark the permalink. I appreciate the article. I posted an article on the same subject. I am a chiropractor in St George UT, and commonly recommend cranberry juice for my patients with chronic recurring UTI. The PAC in the cranberry seem to offer a better protection than prophylactic antibiotics. I think that’s why cranberry is a popular treatment — because it “seems” to work. Of course the study I linked to in the article showed the opposite, that cranberry was less effective than antibiotics. I personally wouldn’t be crazy for either option, so I’m interested to see if researchers will come up with an effective alternative to antibiotics. I personally put more stock in studies that can control for psychological phenomena like confirmation bias and the placebo effect, and these studies don’t tend to have results that favor the efficacy of cranberries. It’s interesting that cranberry seems to have an effect on E. coli in test tubes and Petri dishes, but the human studies so far aren’t too conclusive. I would be interested to see the results of further well-designed studies, since it seems like so far there haven’t been too many.